A recent report from Nielsen revealed 92 per cent of consumers trust recommendations from friends and family over all forms of advertising. But while everyone now understands the power of word-of-mouth marketing (WOMM), what does it really mean in today’s digital age? 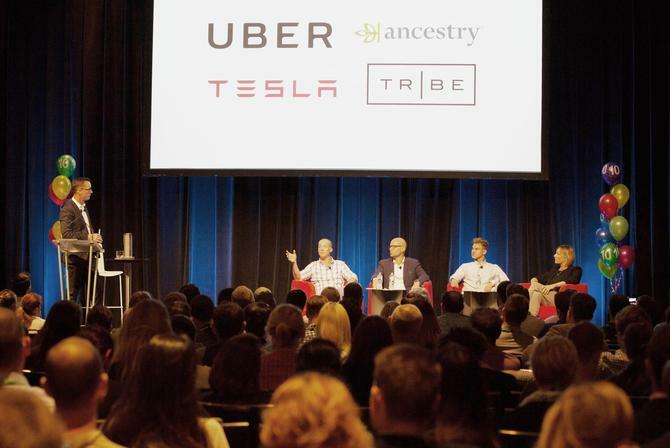 At Ad:tech's event in Sydney, experts from Tesla, Uber, Ancestry.com and TRIBE discussed how marketers are actively influencing people to talk about their brands and the strategies and channels being used keep the conversation going. Uber’s senior marketing manager, Aj Tills, said the company’s primary goal is to deliver an experience people will love and then naturally want to talk about. “For us, we focus on firstly offering a safe, reliable and convenient ride, and then enhancing that,” he told attendees. “It’s about aiming to deliver a money can’t buy sort of experience. Tills said Uber strives to keep the paths of conversation open, especially for passengers and drivers, which helps provide consistent feedback after every trip. “By leaving those lines of communication open, we can then quickly address any issues that may arise,” he added. Tesla’s head of marketing of marketing and communications, Heath Walker, claimed the car brand doesn’t do any paid advertising or paid sponsorship. Ancestry.com’s A/NZ senior director, Kelly Godfrey, said the online site implements a mix of paid and unpaid advertising to promote its business offerings. For anyone with negative feedback, Godfrey said the company makes every effort to reach out one-to-one and have a conversation in an effort to resolve any problems. “As a result, we find the complainants then become our advocates, and tell others who are leaving negative feedback that we called them and helped resolve their query in a particular way, which works out well for us,” she said. For many brands, the challenge is to find creative ways to start a conversation, said influencer marketplace TRIBE founder, Jules Lund. The company, which serves as a platform through which brands can easily invite and brief influencers to activate powerful 1:1 campaigns and engage audiences, harnesses the philosophy that social influencers have become powerful allies in the marketing world, yet most remain unaware of their value, with no platform to initiate conversations with their favourite brands. Lund claimed marketers had a pre-occupation with the distribution of a brand message, but don't spend enough time or resources creating a message that is really inspiring or engaging. “Like a message in a bottle that is about to travel,” he explained. “Everyone talks about virality, but I’m amazed at the carrots marketers are dangling in front of influencers they want to engage. I don’t think what they're doing is all that inspiring. If you want your message to travel and really capture people’s imaginations, you probably need to think about something that is really valuable to them moving forward."